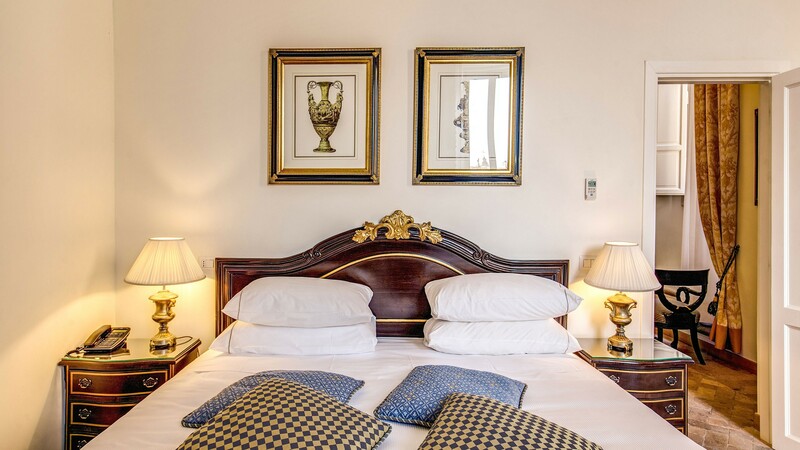 The apartment, very large, is developed in the part below the north bell tower of the church of Sant'Agnese in Agone has three bedrooms, 1 living room, a service room and outdoor terrace. Inside there is one of the greatest examples of tower clocks in Rome. 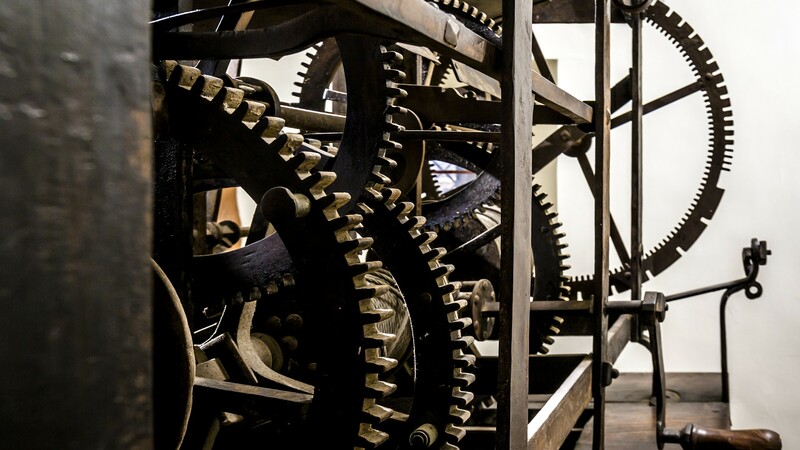 Inside the room, along the column of the bell tower, you can admire the mechanism of the great clock, made in 1657 by an Austrian watchmaker. The plant is an example of a great watchmaking technique: hundreds of parts and gears are joined together to calculate the time, a time that seems never to have passed since the seventeenth century. The system, still working, is a true jewel of an ancient art, which still retains a charm of the past. 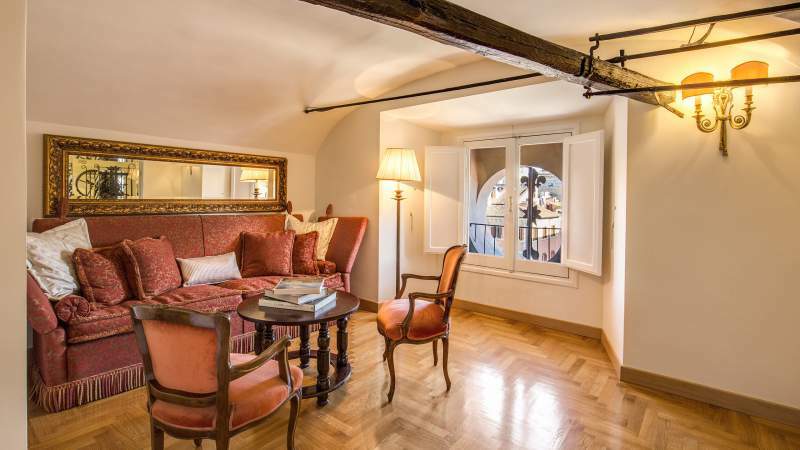 The suite also has one of the most exclusive views of Piazza Navona in the entire structure. 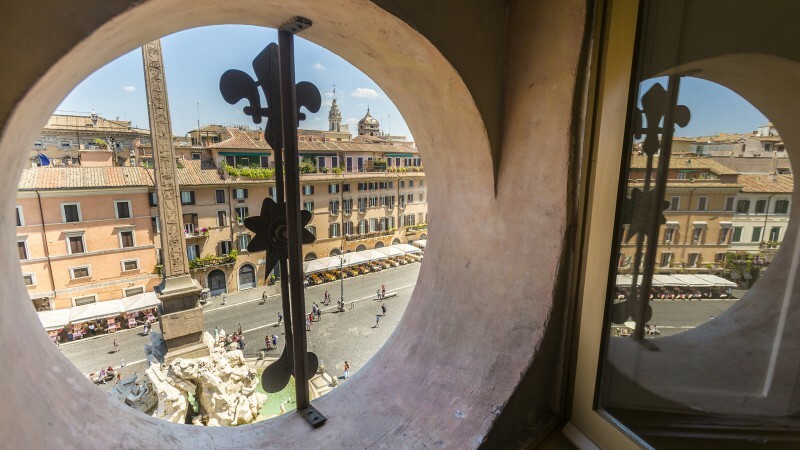 Here you can admire Bernini's Fountain of the Four Rivers with a decidedly privileged and unique perspective from the window created from the clock face of the bell tower.